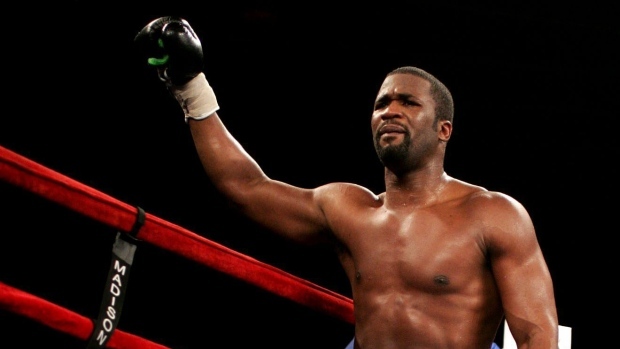 November 26, 2015, New York City Former professional boxer O’Neil “Supernova” Bell was shot and killed on Wednesday morning during a robbery in Atlanta, Ga. Police are looking for four men who are believed to have stolen two cars and shot a man who is currently in stable condition at Grady Memorial Hospital, according to the Atlanta Journal Constitution. Bell didn’t survive the shooting and was said to have been arguing with the suspects before he was killed. The Jamaican fighter, who was 41, was one of only two “undisputed” cruiserweight champions in boxing history. His last match was in 2011. The Crime Stoppers are offering $2,000 to for the arrests and indictment of the suspects.